The first legendary notes that spawned the blues and rock-n-roll rang out from Beale Street in Memphis, Tennessee. Haunting guitar licks still echo through the streets even on a quiet downtown night. Memphis likes the nightlife and likes to boogie—and you will too, with some great live music every night of the week. 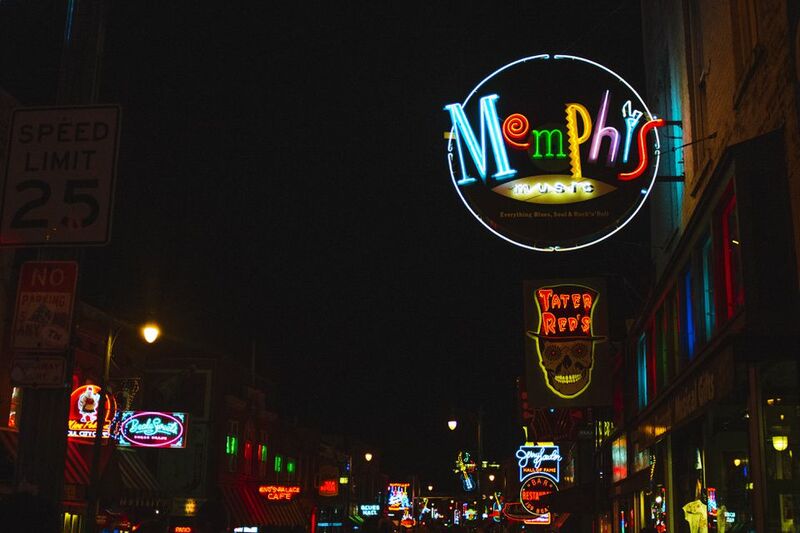 For a first-time visitor, Beale Street can be overabundant with neon and a seemingly lacking of good music. To avoid sitting through a dull set, explore our list of the best clubs on Beale Street that regularly have the best live music in Memphis. You're sure to have a good time at Rum Boogie Cafe where the motto is "Eat. Drink. Boogie. Repeat." The venue was named Blues Club of the Year by The Blues Foundation in 2007 and continues to win accolades from visitors each year. The house band is the consistently entertaining James Govan and the Boogie Blues Band, who has won the local award for Best House Band on Beale Street three times. Locals enjoy dancing like tourists to this boogie band that performs nightly. B.B. King's has one of the most diverse and sophisticated lineups of modern blues and R&B in Memphis. Their house band is the B.B. King All Star Band, and they regularly feature King Beez, Will Tucker, Memphis Jones, and others. The club can be a one-stop choice for the night as there are two levels of dining serving signature dishes like BB's Famous Lip Smacking Ribs and Born on the Bayou Shrimp and Grits, in addition to a dance floor. The New Daisy is a concert venue more than a club, but it has regular shows that lean towards alternative and heavy metal acts. If you haven't been in a while (or have never been), you'll appreciate the renovations completed in 2015 that added several VIP viewing areas, three bars, and new restrooms. The music hall occasionally hosts big names, such as Justin Timberlake or Liz Phair, but more often, they are a venue for Battles of the Bands and all-ages shows as minors are allowed on Beale between 6 am and 11 pm. This Irish pub offers a rowdy atmosphere and claims the bar is "where it is St. Patrick's Day all year round." The key highlights are local songstress Barbara Blue with her unique rendition of the blues and the dueling pianos that always incite a group sing-a-long. Both acts perform daily. No Irish bar would be complete with a long list of unique libations and O'Sullivan's supplies delicious drinks like the Screaming Margarita, Blue Lagoon, Hurricane, Boll Weevil, and more. Blues City Cafe features live music nightly from a variety of bands that are indicative of Memphis' iconic period in music history. The main stage rotates headliners like blues favorites Blind Mississippi Morris, Earl" The Pearl" Banks, and Ghost Town Blues Band. A standout is Freeworld, who plays almost every Sunday night, and as the bands are made up of phenomenal local talent, they are must-sees when in town. Sit back and enjoy the music with a cold drink and a plate of the tasty homemade tamales or chili on toast.